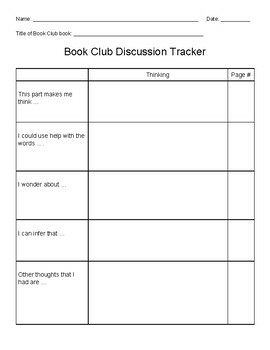 The Book Club Discussion Tracker will help monitor the students thinking while they read. 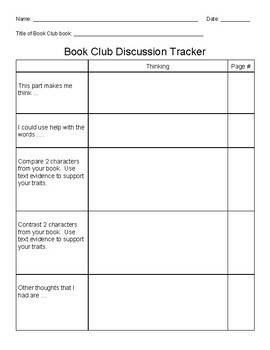 These pages can be used for any book the student is reading. Text evidence is required when answering the questions.